Sign up to keep track of Nehr's updates or create your own profile to share your gaming experience, follow your favorite games and show off your gaming identities. Nehr is now following Pixel Journeys. Nehr is now following Nenyphone and KittenKaboomi. Blowing stuff up since 2287! Technically you've been active in the blowing stuff up business since the 2070s. Nah, I was apparently a lawyer back then. Only thing I blew then was minds. My Fallout 4 character Parasite Hilton o/ Sporting that fancy Star Wars rebel flight suit. Thanks @Patchorus ^^ Unfortunately it was a toy and not decoration.. but I'll love it all the same anyway! oooh wow it looks really neat! I'm sure you will brew many healing moonshines in it! Whitestar is a community ever evolving and changing. 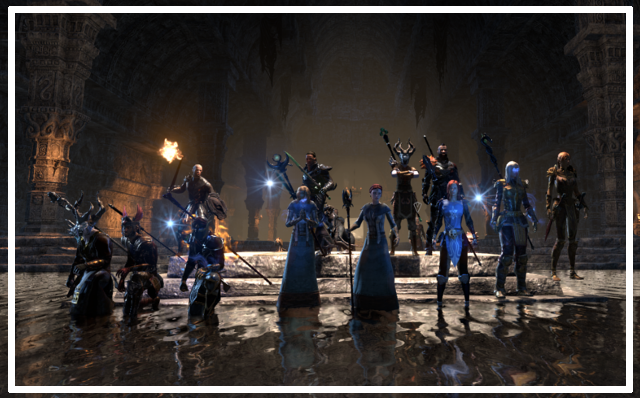 We have bloomed a lot lately by improving and progressing our guilds in The Elder Scrolls Online and World of Warcraft. We have welcomed a lot of new members, and promoted our deserving Trials to full membership. 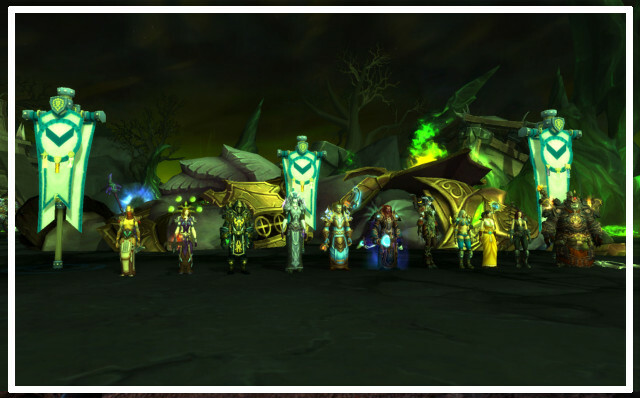 We have achieved some feats aswell together, like killing Archimonde or the Mage and the Warrior Constellation. We are organizing regularly events in our guilds and outside our guilds in other games like Evolve, Heroes of the Storm, Diablo or GW2. 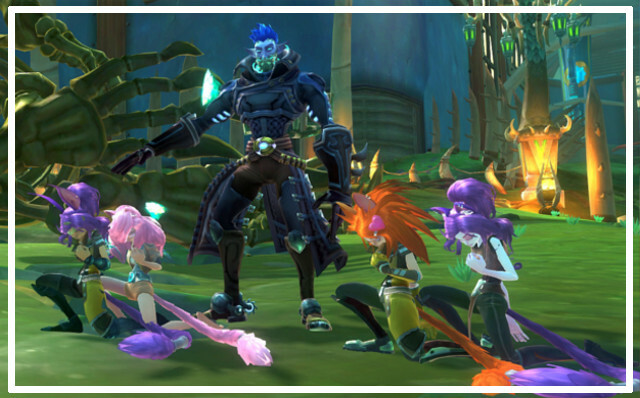 We try to organize funny contest and games on our forums, to always encourage bonding and amusement in our community. And we have many other projects and surprises to come! The big new of the month, however is that we do now have a new official guild in Final Fantasy XIV. 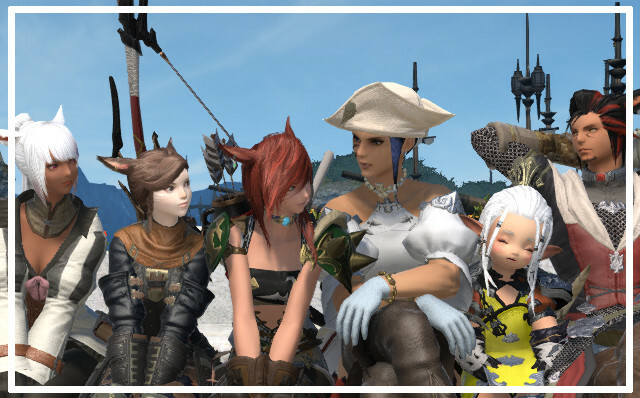 Created by @LunaDra and @Cornilius, together they have achieved to arrise the interest of a lot of our members and gather them in Eorzea. During more than one month the guild have slowly grown, gathering more and more members and generating a lot of activities and enthousiasm. So today we are very proud and happy to tell you that Final Fantsay XIV is our third guild, and that Lunadra had been promoted as Council member and Cornilius as Officer. We are very happy to see Whitestar evolving and growing so much while keeping its very special, cozy and warm hearted atmosphere. Be sure to read regularly our forums, and signup our events if you are interested or not to participate. Thanks to everyone to make Whitestar such an awesome place! Reading this great post makes me so proud to be a part of this wonderful guild. I never knew it could even work to make a multigaming guild like this work! My respects to you, @Elloa, and all officers and ingameguildleaders who make this possible! There is no drama (at least none I know about :D), everyone is so superfriendly and we do our best to stay in contact even with guildies who play other games. We stick together like a little family and the guild keeps evolving! Also so proud of @LunaDra and @Cornilius who made up this supercool new Final Fantasy part of Whitestar, according to all the screenies it looks like working perfectly and people enjoy it a lot! Myself I am super happy about the revival of Whitestar Wildstar, where I started to become a guildie, the game is so much fun again, especially with all the old - and new! - members. TIL why oven mitts are called oven mitts. It's a mitt that you are supposed to wear on your hand while your hand is in the oven.